Canada’s CP-140 Aurora patrol aircraft are no strangers to long trips, but the final journey of a recently retired airframe will no doubt make a big impression on a lot of people. The four-engine turboprop, based on the 1950s Lockheed Electra airliner, will travel by road from a military holding facility to the National Air Force Museum of Canada in Trenton, Ontario. The aircraft, which was taken off strength in 2015, has been dismantled, of course, but that won’t be enough to prevent some traffic headaches for those who encounter it on the road. 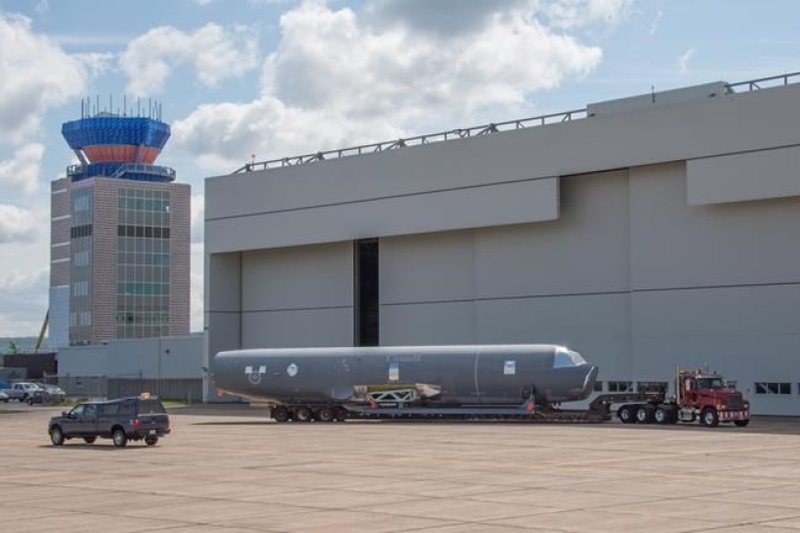 The fuselage and wings have been loaded on special low-bed trailers and they will take up both lanes of the Trans-Canada Highway on the journey west. Although that likely won’t be a problem most of the time, the aircraft will have to go through some pretty busy stretches of road, including in Montreal, where it’s supposed to arrive on Thursday. The wings will follow a week later.